A new color gives your home and your mood a super boost of happy. 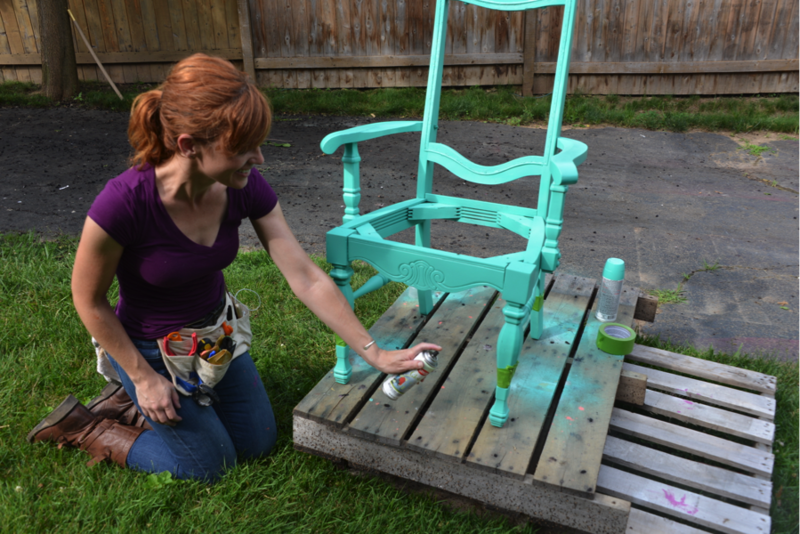 Painting furniture is easier than you might suspect. 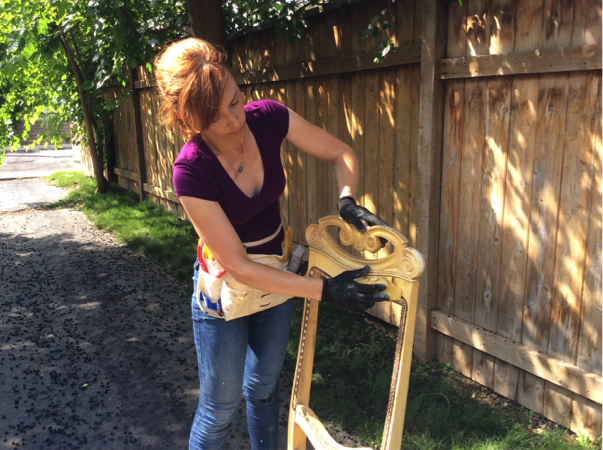 Like every DIY project with a happy ending, it takes planning, patience, and persistence. 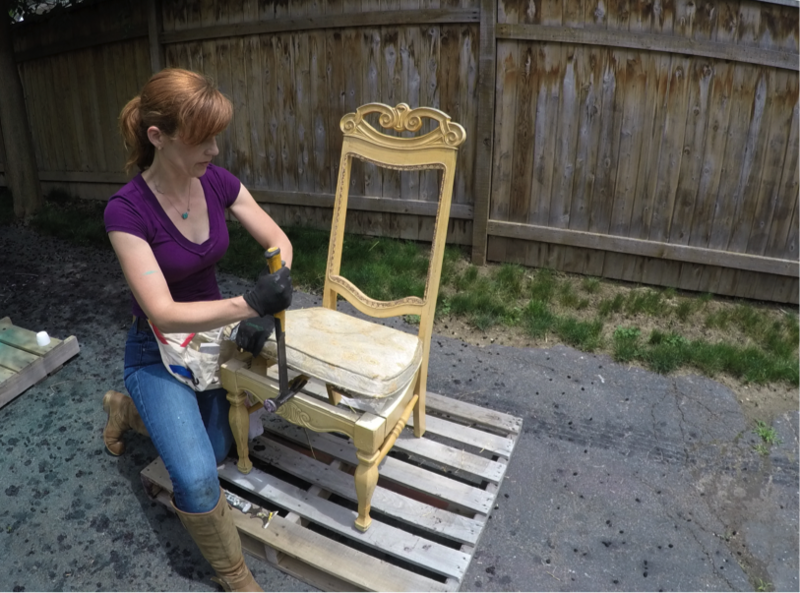 And it’s so much fun to transform an older chair, table, or dresser into a modern diva that’s ready to shine in your space. 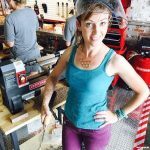 The most important part of a happy DIY project is making sure we start off with solid materials and tools. 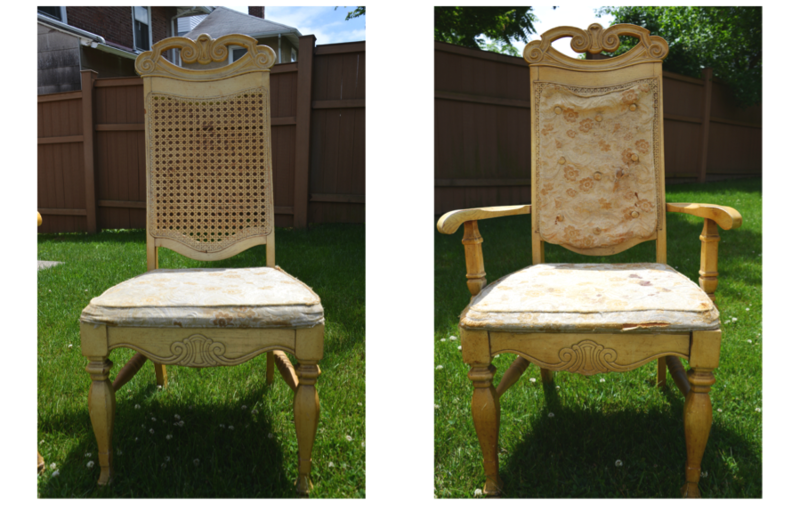 This means that if you select a chair that’s falling apart, it will need way more than paint to perk it up. You will be in for a much larger project. You’ve probably heard us designers say: “Look for furniture that has good bones.” This just means that it’s sturdy, well-made, and it has the shape and style lines that you prefer. As for the kind of material, for example wood, metal, MDF, or melamine, it doesn’t matter. There’s a kind of paint for any kind of material. Oh, and if you want to paint something that’s a family heirloom, I recommend trying out your paint prowess on a second-hand find first. If you rock the paint job, you’ll have a matching set of happy pieces for your home. After you’ve fallen for the furniture, you’ll need to prep for paint. Removing all of the hardware, and anything like fabric cushions that won’t be painted is the first step. Then, depending on the type of paint you’ll use, and the furniture’s material, this can mean a few different things. Let me break it down between spray paint and paint brush/bucket paint projects. There are spray paints that can work perfectly on any kind of material from melamine to metal. If you plan to spray paint, you’ll need to clean the surface well to remove any debris before applying paint. 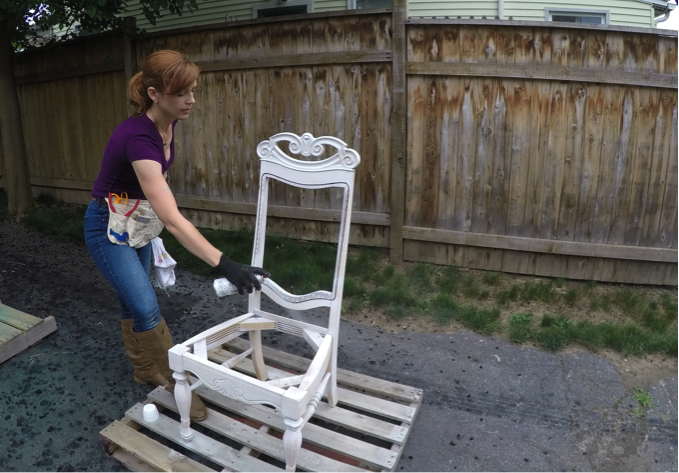 When I’m spray painting wood furniture, I always do a light sanding, too. It’s a belt-and-suspenders approach. I like to do everything I can to make sure my project is as good as it can be. While you can paint anything with anything, in order to achieve super happy results, I recommend using bucket paint for wood and wood-like finishes like MDF. To prep for your paintbrush, you’ll want to sand the surfaces. I’m into priming before painting. Yes, it’s one more step to add to your afternoon project, but it’s one step that will help make sure you have an even long-lasting finish. Before priming, make sure the surface is free of any debris and sanding dust. And it’s best to not set up a project under a tree where little leaves and bugs can drop into your painted treasure. It may feel dry to the touch, but always wait the recommended time before applying the chosen color for the furniture. Paint doesn’t actually dry, it ‘cures.’ This means there’s a chemical reaction going on that hardens the paint on the surface. You may have the perfect color chosen before the furniture, or you may be fretting over the perfect color while you’re applying it on the piece. Either way, test the paint color on an inconspicuous spot, like the back, inside, or underside of the furniture. Color is co-dependent on the rest of the interior design. This means that the color can look one way outside, and it can appear to be a totally different color in your living room, and then another color in your bedroom. Color changes based on the colors in the room and the lighting throughout the day. The trick to achieving a perfect paint finish is patience. 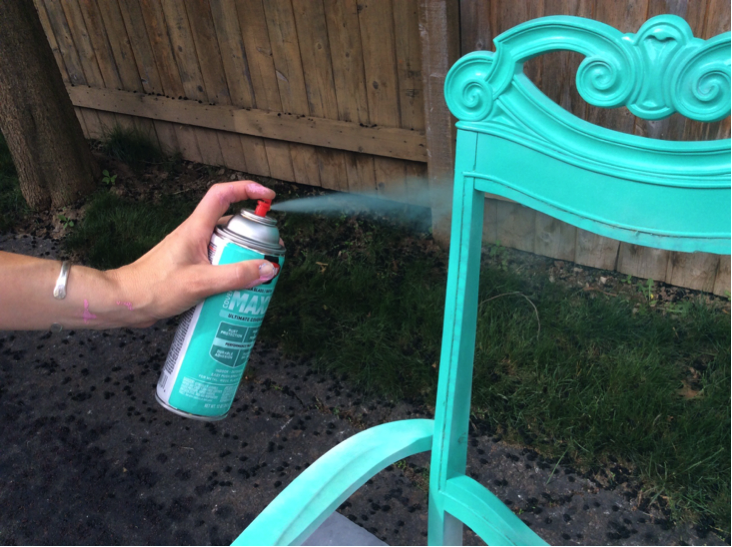 If you are spray painting, it’s ideal to spray multiple even dusting coats to avoid an uneven finish, drips, and pools of paint. If you are painting with a brush, follow the lines of the furniture to avoid pools of paint. Whether you have a spray paint can or a paintbrush in your hand, be super conscious of drips. They can pop up immediately or minutes after you’ve applied the color. Continuously check what you’ve painted for any surprise drips. 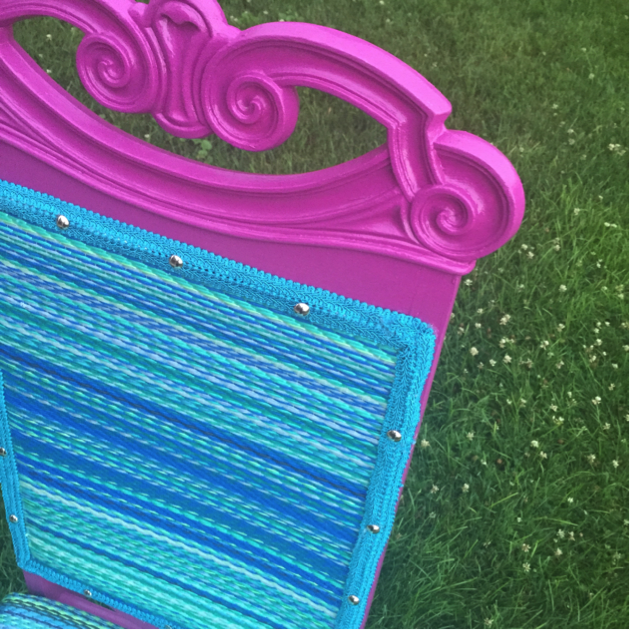 I like complexifying my DIY projects, which means I add details like patterns or a pop of color. When adding more than one color to a furniture refresh project, make sure you’re well-versed in painter’s tape. When buying painter’s tape, look for a kind that has seals on the edges when it’s applied. And when you apply the tape, press firmly on those edges to ensure a crisp line. If you’ve never played with painting patterns before, you may want to start with a canvas or a scrap piece of wood. You might just end up with a bonus wall art that you’ll love.